An estimated 2 million TV sets are discarded each year? Most monitors are made up of a front clear glass which is the screen area that you normally see which is not hazardous. 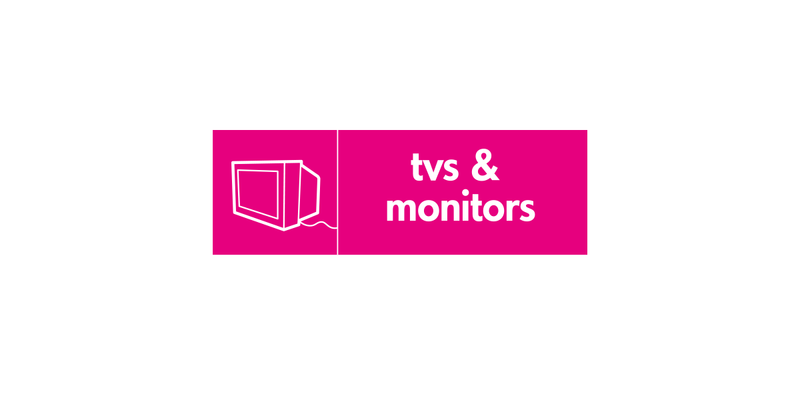 However the rear part of the monitor has a glass funnel section containing up to 20% lead and it is also coated inside with a phosphorous coating which requires separate removal during the recycling process to prevent environmental contamination. As such TV and computer monitors are classed as hazardous waste. We can reuse your flat screen TV’s and monitors at our Smugglers Way Waste and Recycling Centre if it is delivered to us in good cosmetic condition – just leave it in Bay B. If it is not a flat screen, or it has a few dents and scratches, then, although it will not be possible to pass it on for Reuse, we will still be able to recycle it.